In continuation with its solid performance in the first half of fiscal 2019, Ralph Lauren (NYSE:RL) posted an impressive fiscal third quarter (ended December 2018) performance, handily beating consensus expectations on revenues and earnings. The retailer posted adjusted EPS of $2.32 (up 14% y-o-y) on sales of $1.73 billion (+5% y-o-y). The sales increase was largely due to solid growth in international markets – both Europe and Asia, as well as a strong showing in its digital segment. The revenue increase – as a result of favorable product and channel mix, reduced promotional activity, share repurchases, and a reduced tax rate – resulted in growth in earnings per share. We expect these trends to continue through the remainder of the fiscal year as well. Given the solid results in the first three quarters, the company has upped its full year revenue guidance. 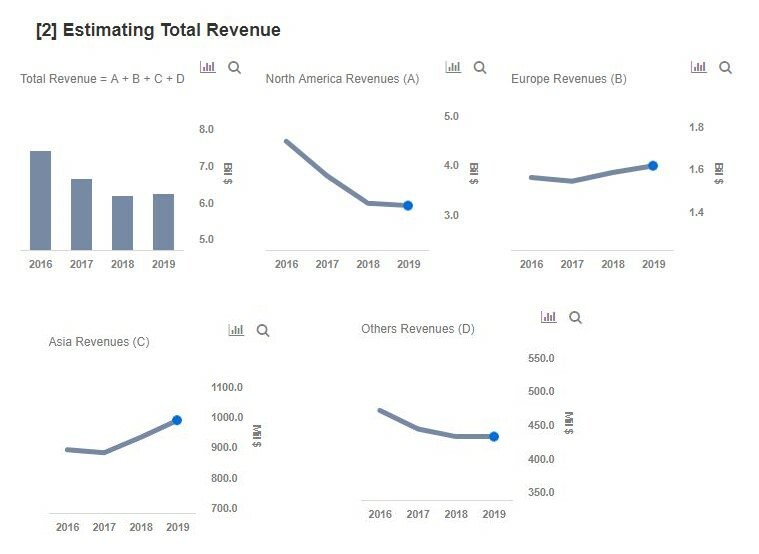 For FY 2019, RL now expects net revenue to be up slightly in constant currency (versus approximately flat to up slightly earlier), along with operating margin improvement of 40 to 60 basis points (guidance remains the same). Below we take a look at what to expect from RL in 2019. We have a $139 price estimate for Ralph Lauren, which is around 10% higher than the current market price. We are in the process of updating our model based on the Q3 results. Our interactive dashboard on Ralph Lauren’s 2019 Outlook details our key forecasts for the company. You can modify the driver assumptions to gauge their impact on the company’s revenue, earnings, and price estimate. 1. Increasing Marketing Expenditure: Ralph Lauren increased its marketing spend by about 18% in the third quarter compared to the prior year period, with the aim of attracting the “new generation of customers.” As a result, the brand enhanced its spend on digital and social channels. Further, the brand has also partnered with a number of celebrities in order to attract these younger customers. For the full-year, Ralph Lauren intends to increase its marketing expenditure by high-single to low-double-digits. 2. Strategic Growth Plan: As part of its five-year Next Great Chapter Plan, Ralph Lauren aims to win over many younger customers, energize its core products and accelerate underdeveloped categories, improve its digital presence, and drive targeted expansion – mainly in regions that are under-penetrated. As a result of these efforts, Ralph Lauren expects its revenue to grow annually in the low- to mid-single digits in constant currency over the next five years (through FY 2023), with an operating margin in the mid-teens, along with a return to growth in FY 2020. 3. Introducing Customization: The company has taken significant steps to strengthen its customization offerings both online and in stores, and has expanded this service to the European market. Given its potential, the company plans to further increase the offerings available for customization, as well as the stores where it is available, including a second customization shop in Asia. Further, the company expects customization to drive higher AURs (Average Unit Retails) compared to digital AURs. As a result, this should provide for decent long-term growth opportunities. 4. Growth Driven By China: Ralph Lauren is bullish about strengthening its international footprint by expanding into underpenetrated markets. During the fiscal third quarter, the company opened 24 stores in Asia, with 9 in China, which is its fastest-growing market. Its momentum has remained solid in the country. RL’s revenue in Greater China grew by just over 19% in Q3 FY’19, with more than 40% growth in Mainland China. The robust performance was largely due to comps improvement and new stores. Additionally, its digital efforts are also powering growth through partnerships with Tmall, Tmall’s Luxury Pavilion, JD.com, and WeChat. We expect these trends to continue through the fiscal year, resulting in strong growth in the region. 5. Focus On Digital Sales: Digital growth has been pivotal for Ralph Lauren. A global digital ecosystem, including its directly operated sites, department store dot-com, pure players, and social commerce has contributed significantly to RL’s top line in recent quarters. Digital sales improved 20% versus last year in the third quarter, with strong performance noted across all regions. The company’s directly operated North America digital flagship continued its growth momentum, and delivered a 21% comps increase. RL has also launched its mid-tier brand Chaps on Amazon. We expect the growth in this segment to accelerate modestly as the promotional pullback in the directly operated North America e-commerce business is broadly complete.